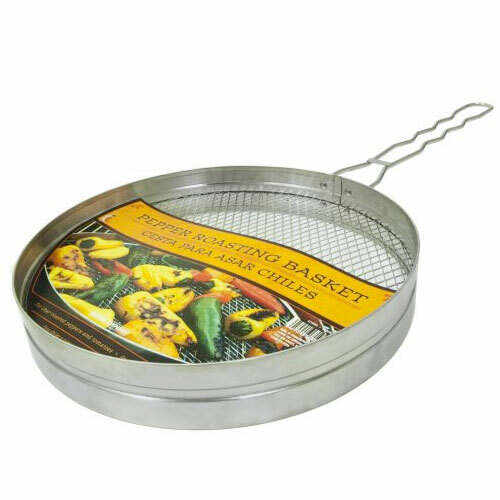 SS Pepper Roasting Basket | Patio and Hearth Co. Stainless steel pepper roaster keeps peppers at a perfect distance from the flame to prevent burning. Inquire about SS Pepper Roasting Basket using the form below.